Roast covered on low heat on the smallest eye of the stove. 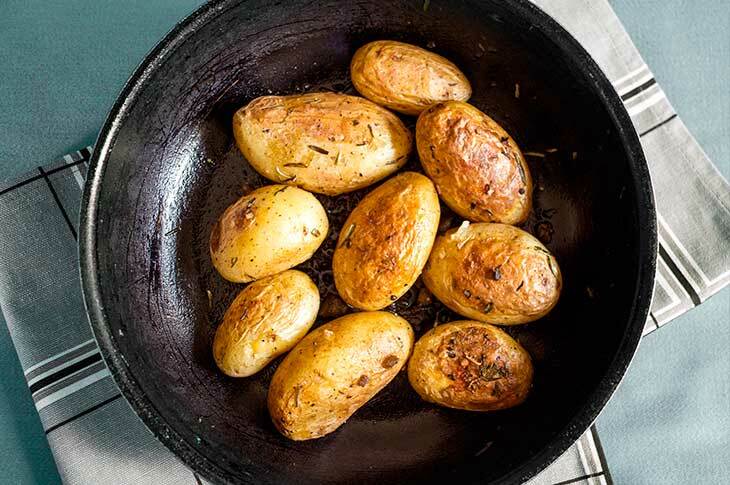 Agitate the pan once every 10 minutes to make sure the potatoes don't stick and are cooked from all sides. Cook for about 1 hour or until potatoes are cooked. Serve as a side with any veggie stew.